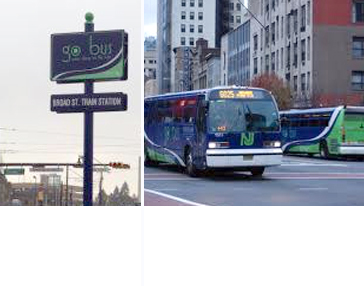 Bus Rapid Transit Focus Groups and MaxDiff Surveys | Resource Systems Group, Inc.
Over the past four years, RSG has worked in partnership with New Jersey Transit (NJ TRANSIT) on four studies to quantify preferences for Bus Rapid Transit (BRT) attributes using MaxDiff conjoint analysis. The corridors have included the Princeton, New Brunswick, Route 9, and GO Bus service corridors. The first three studies were conducted in corridors where NJ TRANSIT had not yet implemented BRT, and wanted to better understand which service features customers in these corridors valued most. The last study sought to quantify and validate user benefits and preferences after riders had used the BRT service. For each study, participants were screened and recruited to focus groups via a web-based survey. Once recruited, anywhere from 6-10 focus groups were conducted; these groups were moderated by a combination of RSG staff and NJ TRANSIT market research staff. At the conclusion of each group, a MaxDiff conjoint survey, designed by RSG for each corridor, was administered to quantify preferences for BRT. The focus groups and MaxDiff conjoint survey results provided NJ TRANSIT with guidance for designing new BRT service, allowing them to prioritize features. This information will be particularly helpful to BRT in cases of partial or phased plan implementation.